On your own or with a experienced guide, by foot, ski or snowshoe, discover the surrounding forests and fells (tunturis). If you feel courageous enough, why not try winter swimming in the river after the authentic Finnish smoke sauna? 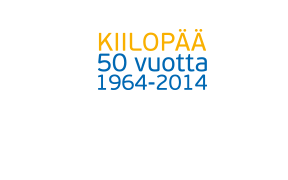 Several housing options are available at Kiilopää : hotel, hostel, cottages or terraced houses. The buffet and steakhouse restaurant will offer you savory meals made from local and seasonal products.